White powder sample submitted from Los Angeles, California. 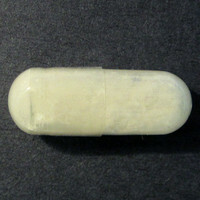 (*Two capsules submitted, only powder from one capsule analyzed. *) Sender comments powder was sold as 'high purity white powder heroin, 'clean' east-coast style powder'. May 28, 2018: As part of quality assurance, we retested this sample in May 2018 in order to verify it contained no fentanyl. On re-analysis, we found no fentanyl and found trace remnants of 6-mam and papaverine leftover from the synthesis.